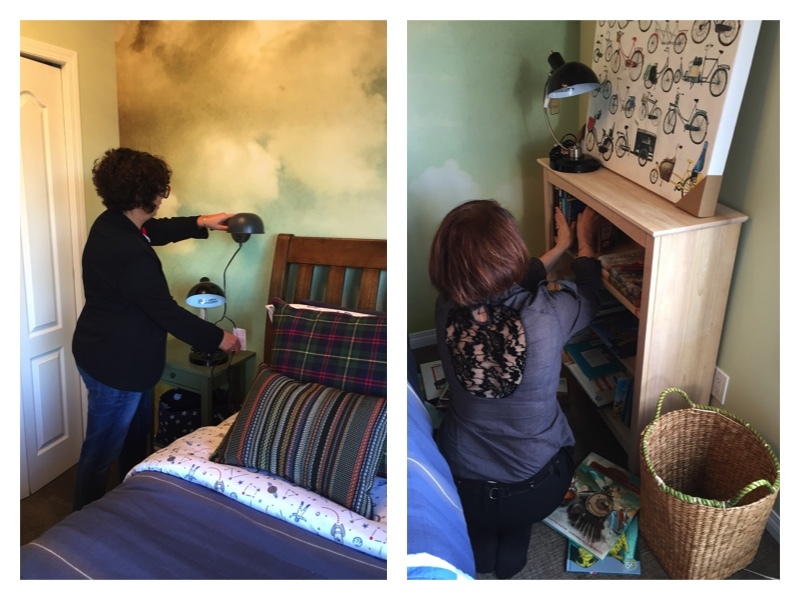 One of our clients called us in to help in the redesign of her little boy’s room. 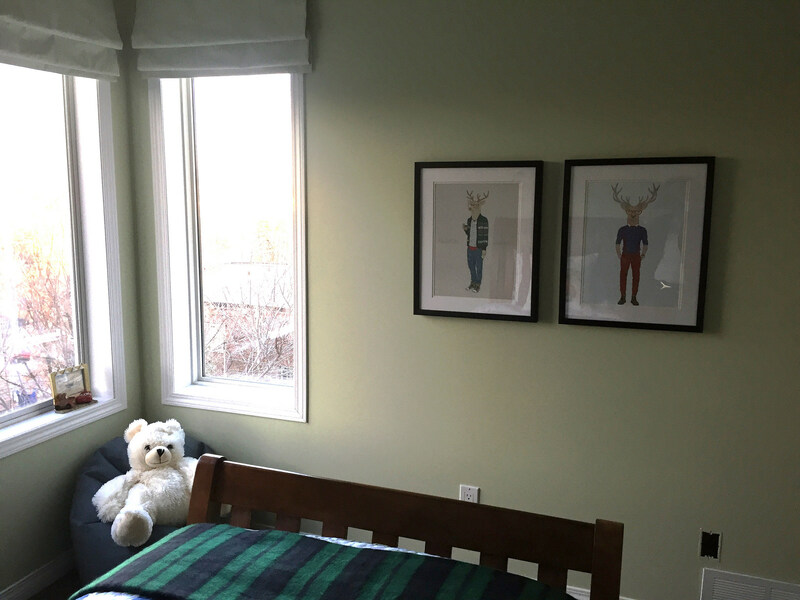 We worked on her family room (read blog here) and were thrilled to do up her son’s room, which was part of his 5th birthday present. 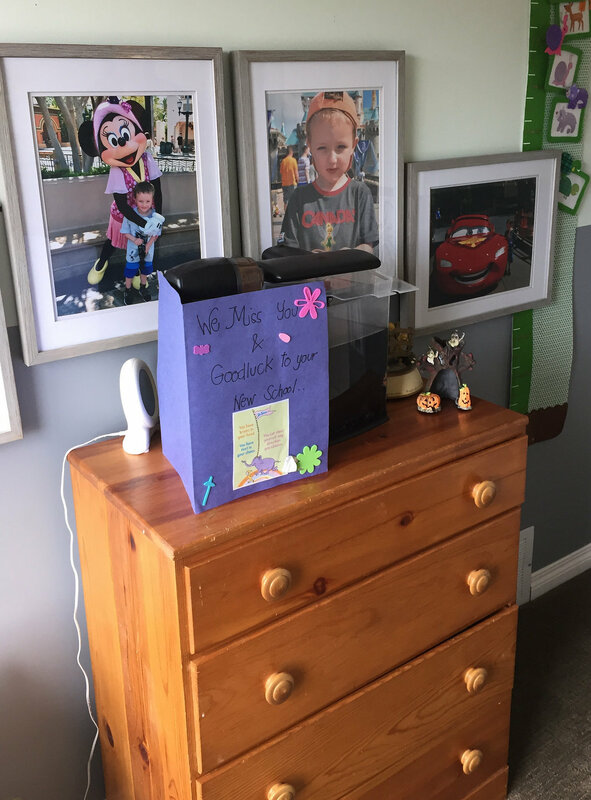 There’s a fine line between a toddler room and a teenager room. 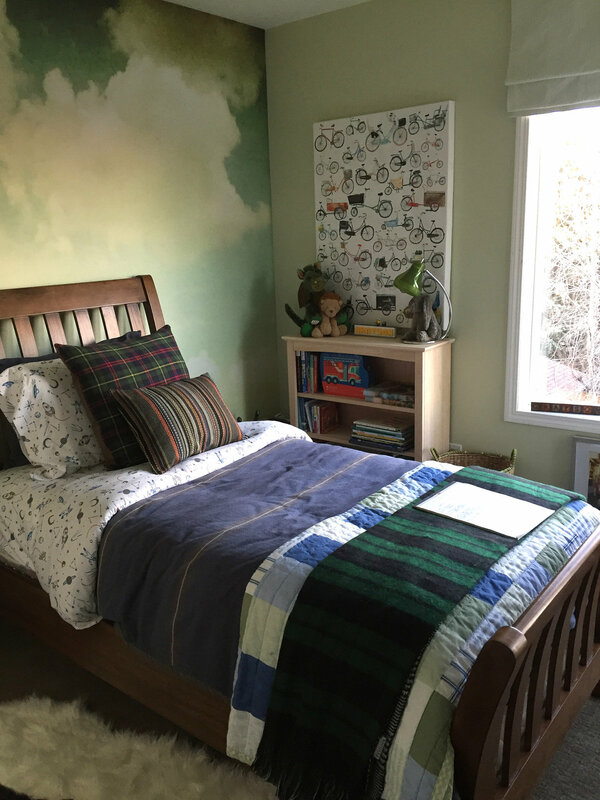 Little boys become big boys in the blink of an eye and we didn’t want to rush the process by giving him a room that was too old. 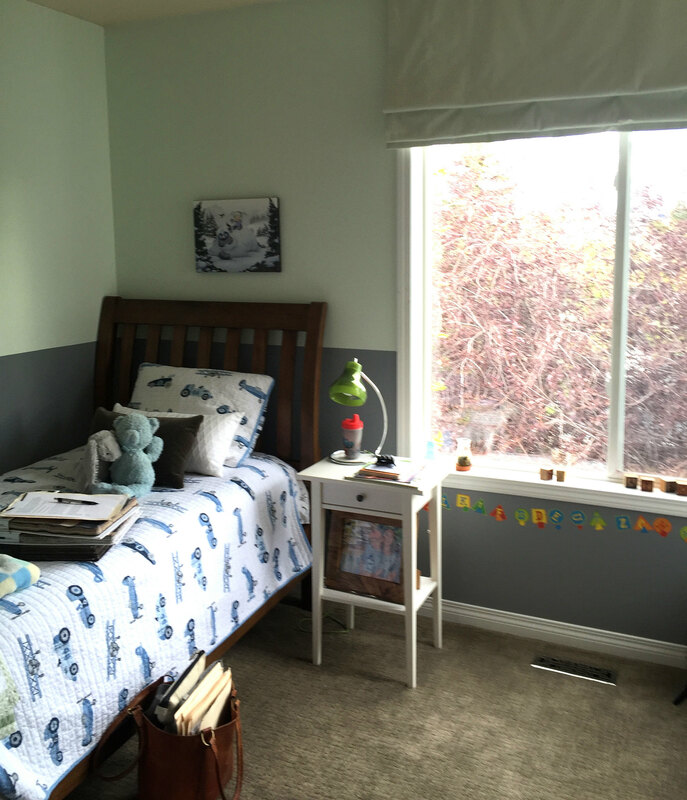 On the other hand, no respectable 5 year old wants a baby room. We think we found the perfect in-between room for this little guy. 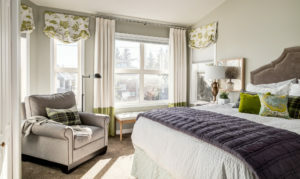 The room is lovely with large bright windows that let in an incredible amount of natural light. He already had a classic headboard for his twin bed so we didn’t have to worry about that. The book shelves seem like a good idea, but eventually little boys figure out that it’s fun to knock them all down. 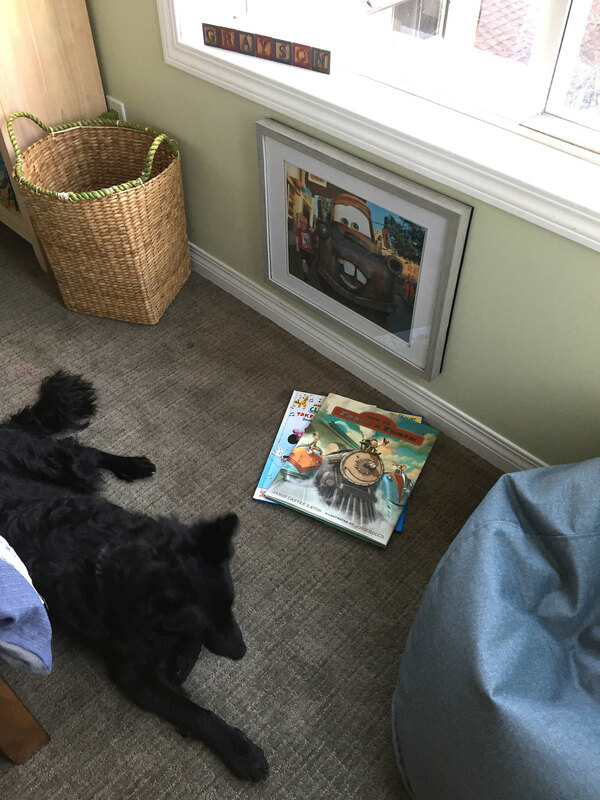 Mom had enough of picking books up, so we thought it was time for a real book shelf. 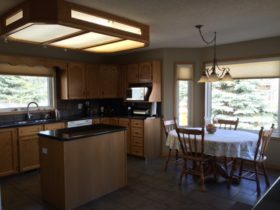 The existing window coverings were custom made so we wanted to incorporate these into the new design. As you can see, they were soft grey and chartreuse. 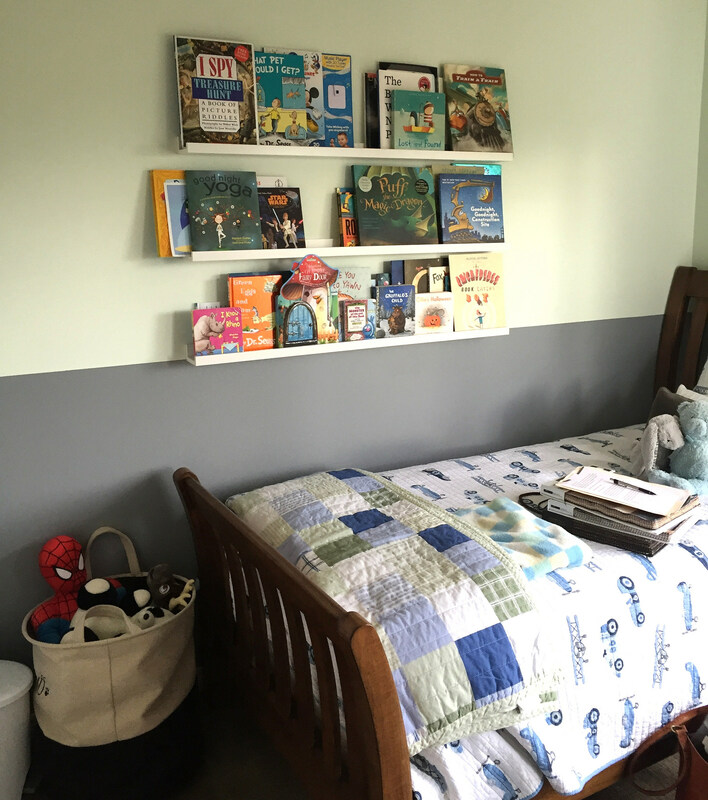 We had to be careful not to let the room get too sweet or else it would look like a nursery. We found the perfect wall mural that harmonized with the valance yet was grown up enough for a 5 year old. We decided to keep the paint colours in the green family to blend everything together. 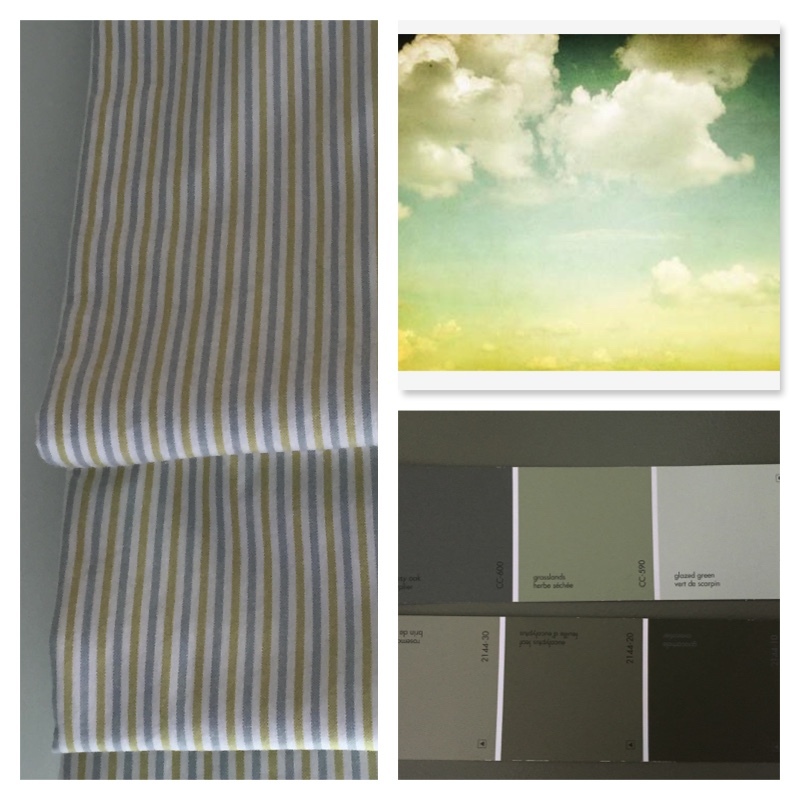 For the wall colour we selected a beautiful shade of light green that was found in the mural. 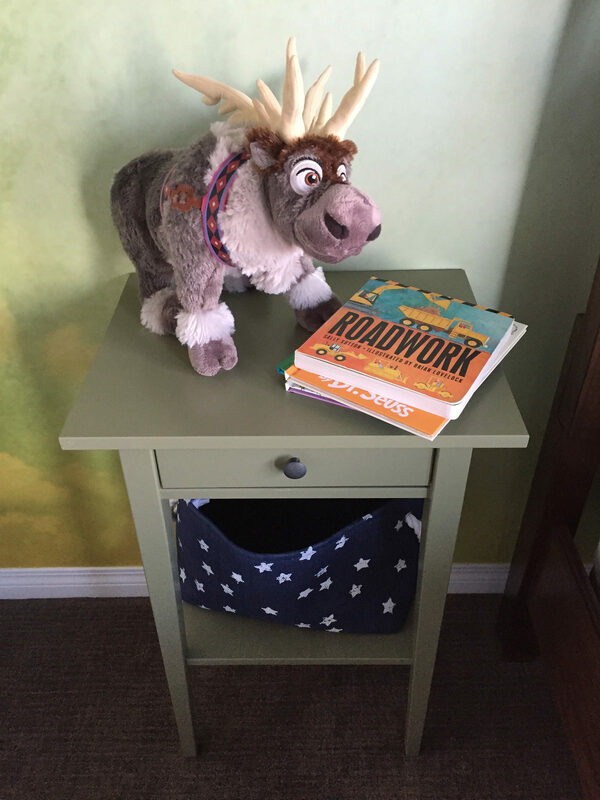 This night table was fine but we suggested that it be painted a fresh green colour. Sometimes colour makes all the difference! This light fixture was selected because it was fun, suited the cloud theme and most importantly didn’t hang too low. You’ll notice that the closet door needed room to open. A bean bag chair was custom made by our seamstress out of a very soft cozy fabric. 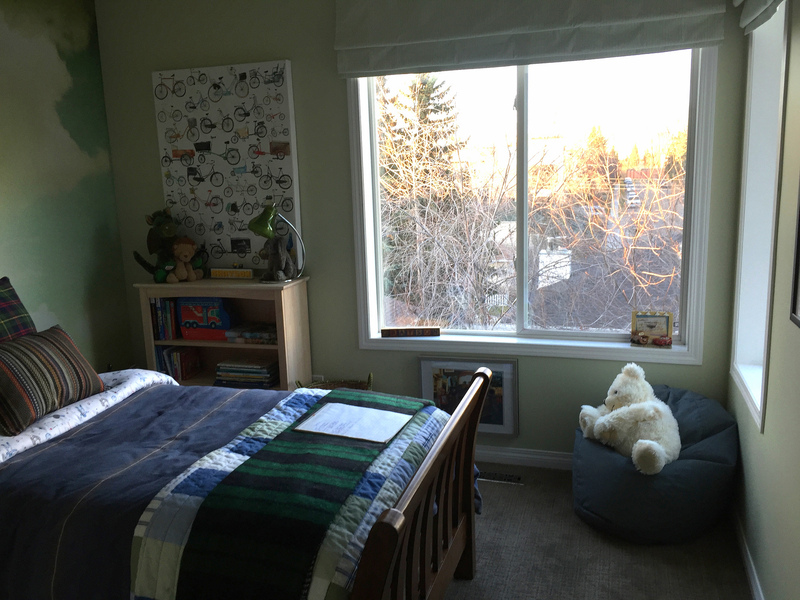 This will be a great space for the little guy to sit and read. The knobs on the bifold doors were changed out to these cute ones from Anthropology. Since it’s so close to Christmas we thought that his room could use a little holiday cheer. 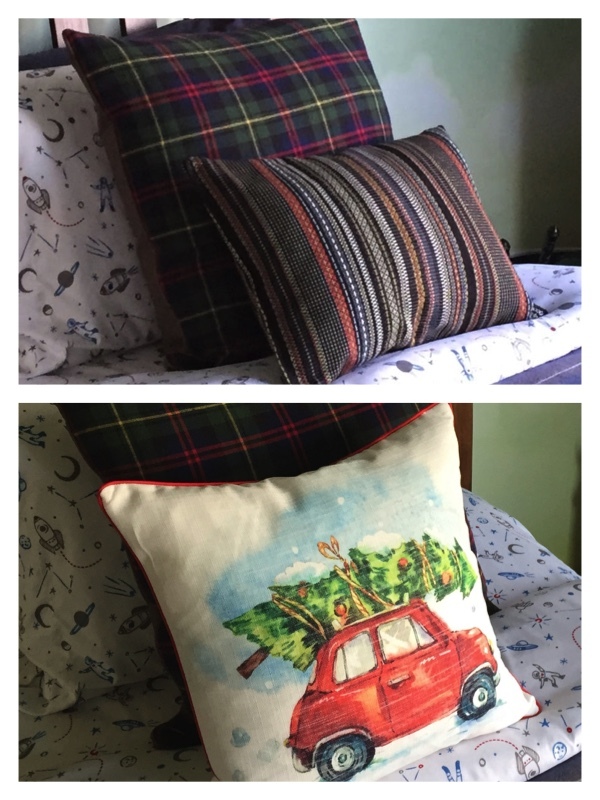 It’s easy to replace one bed cushion with a festive one. 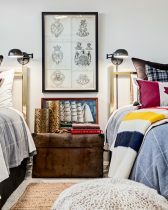 We saw this cushion at Home Sense for $19.99 and figured it was an inexpensive swap out for the next few weeks. Styling day is always a lot of fun because everything comes together. 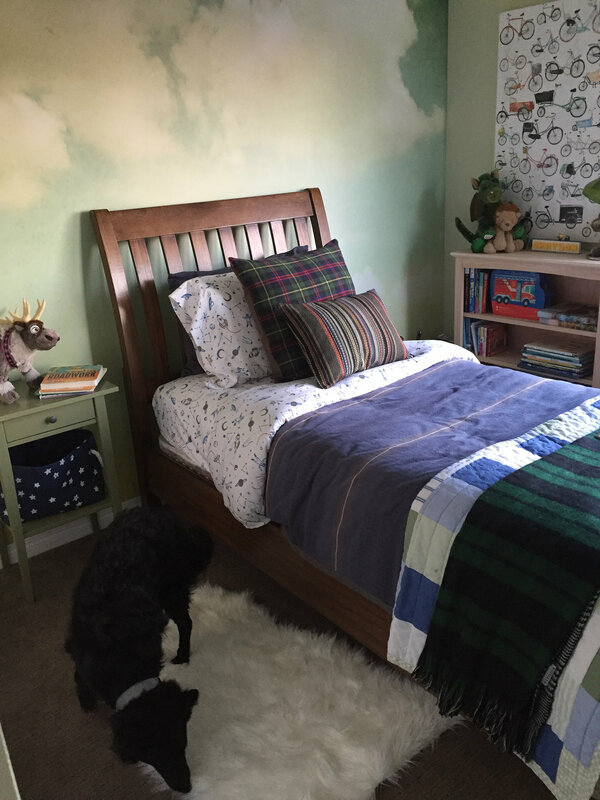 We were happy with the way this bedroom turned out and the little boy was over the moon. 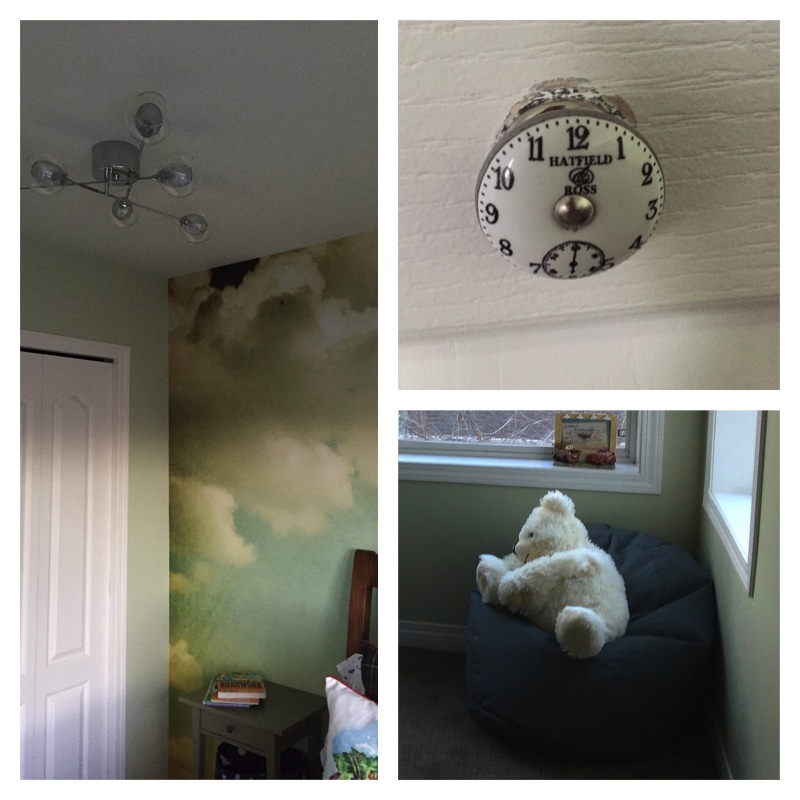 He LOVED his clouds wallpaper and his beanbag chair. 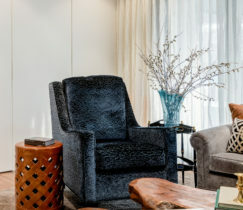 Karen Fron Interior Design is a Calgary based design firm. 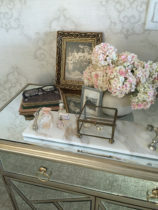 We believe that a well functioning and beautiful home makes life better. It's not about how much you have, it's about using what you have to create beauty.